were. A careful examination of these works aids us greatly in judging the extent to which artists and craftsmen whose names have become household words with us were indebted to contemporaries of whom we seldom, if ever, hear. "A New Collection of Chimney Pieces, ornamented in the Style of the Etruscan, Greek, and Roman Architecture." By George Richardson, Architect. Published 1781. Here we find "Adam" in its purest and most desirable phases. The renowned brothers produced nothing better than, and much which cannot be compared with, George Richardson's designs.
" 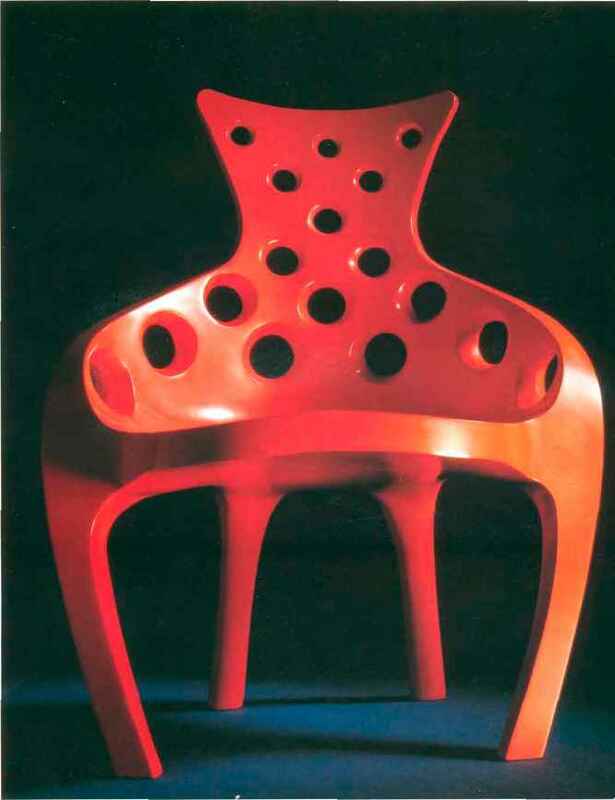 Designs of Household Furniture." By T. Shearer. Published 1788. All these designs may safely be classed under our "Sheraton" heading so far as nomenclature is concerned. "The Complete Modern Joiner, or a Collection of Original Designs, in the Present Taste, for Chimney Pieces, and Door Cases." By N. Wallis, Architect. Published 1792. Refined renderings of " Heppelwhite," "Sheraton," and « Adam." " The Cabinet-Makers' London Book of Prices, and Designs of Cabinet Work." Printed for the London Society of Cabinet Makers, by W. Brown and A. O'Neil. Second Edition 1793. This book constitutes striking testimony to the extent to which " Chippendale " had been superseded by "Heppelwhite" and "Sheraton," and that, too, within a comparatively brief period. The remaining works (with but one exception) are, to my story, what Zola's " La Débâcle " is to his Rougon-Macquart Series. 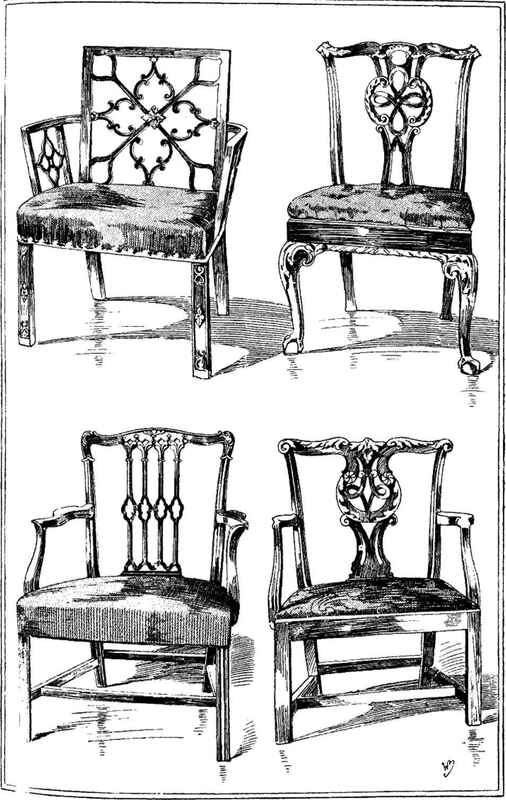 Would the reader wish to see the depths to which the art of the furnisher fell during the earlier years of the nineteenth century, he cannot do better than study them carefully.